Tennessee State linebacker Christion Abercrombie is improving two weeks after suffering a major head injury vs. Vanderbilt. After two tenuous and taxing weeks, Tennessee State linebacker Christion Abercrombie has taken a major step forward on his road to recovery. 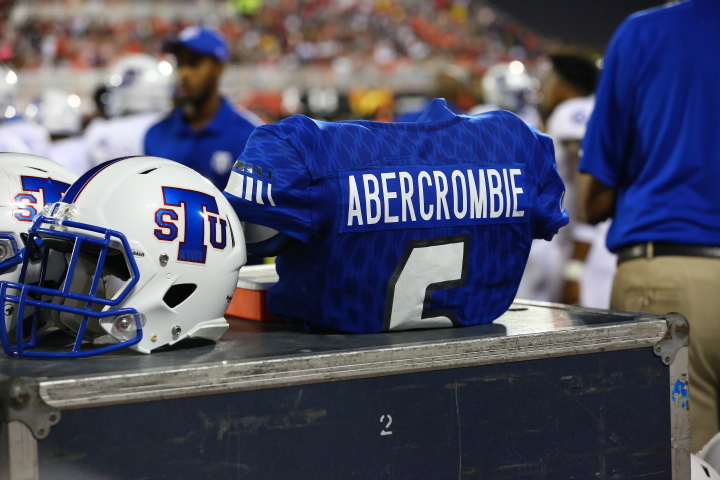 Abercrombie has been upgraded from critical to stable condition, according to a tweet sent out by TSU on Sunday night. The Atlanta native suffered a severe head injury on Sept. 29 against Vanderbilt that drew national attention. His parents spoke to the media shortly after his injury praising the doctors at Vanderbilt Medical Center for their care and expressing their belief that their son would make a full recovery. His mother Staci said he responded to the playing of gospel music in his room. Abercrombie faces a long road ahead, but after enduring an injury that serious, any progress is met with joy and hopefulness.